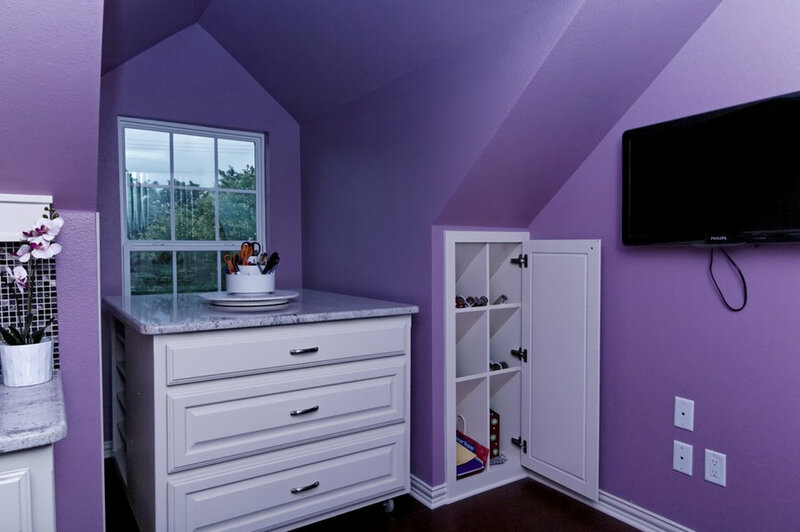 This exciting project had two parts: First Wendy designed a remodel/finish out for the upstairs area of the existing home to create a new craft room, media room, and half bath for our clients. Previously the area was mainly bonus space, with a small developed game room. 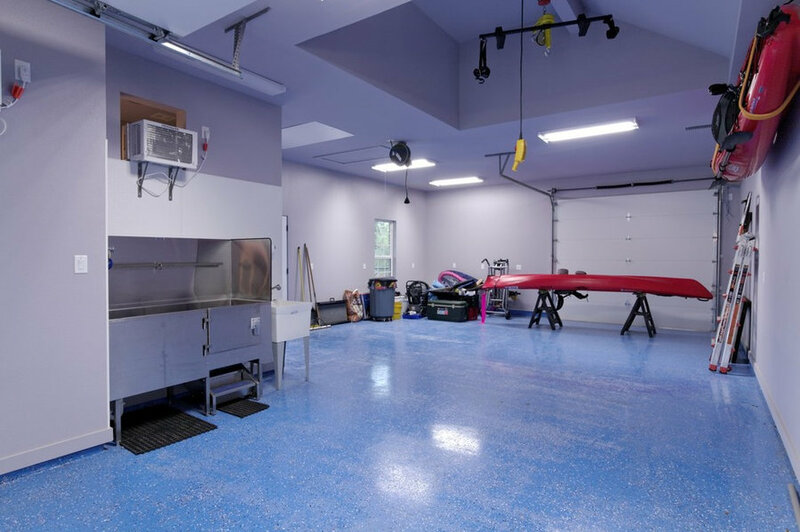 Wendy also designed a new free standing garage matching the existing home, incorporating space for storing sport equipment, kayaks, and an air conditioned "doggy apartment" with it's own canine entrance and dog wash station. 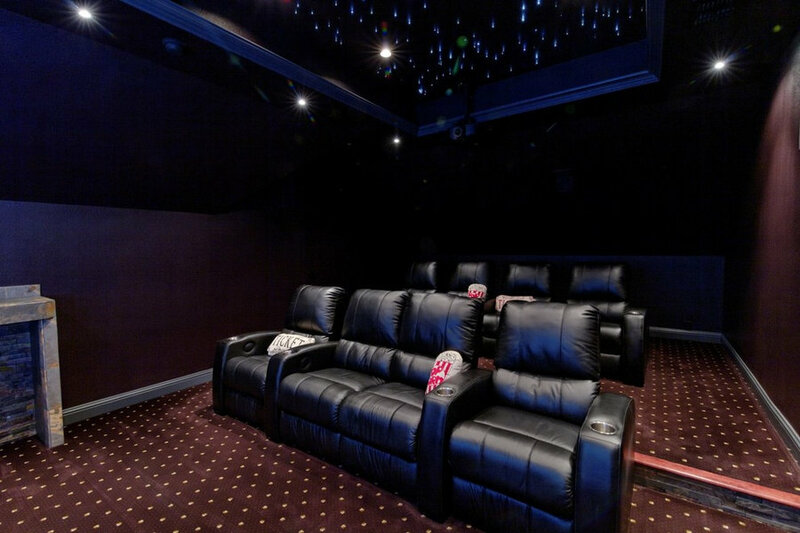 Everything was perfectly designed to suit this couple's personalities and favorite activities. 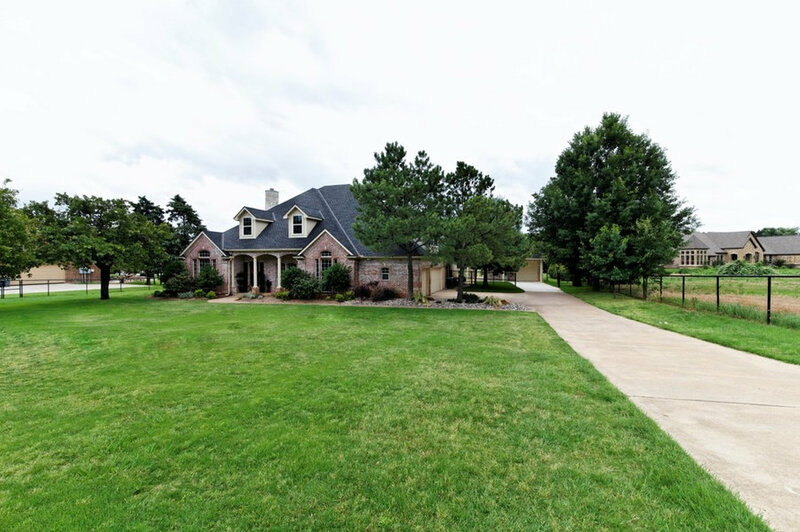 Wendy designed the 2nd floor remodel/finish out in the existing home and then the new freestanding garage addition (rear right - between trees) to match the existing home in exterior and architectural style. 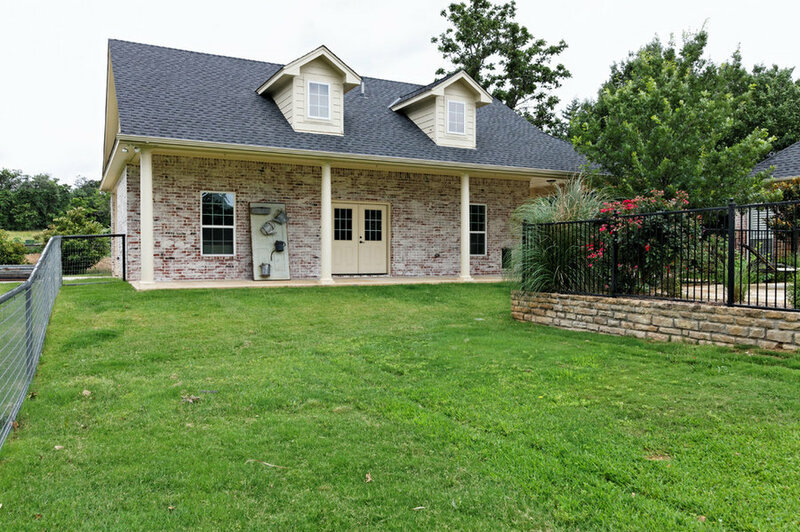 This new addition, considered a pool house/detached garage, matches the existing house exterior style and design. The perfect set up for an outdoorsman and his dog - in-line garage doors allow you to drive in, unload cargo with the ceiling mounted winch and exit out the back. 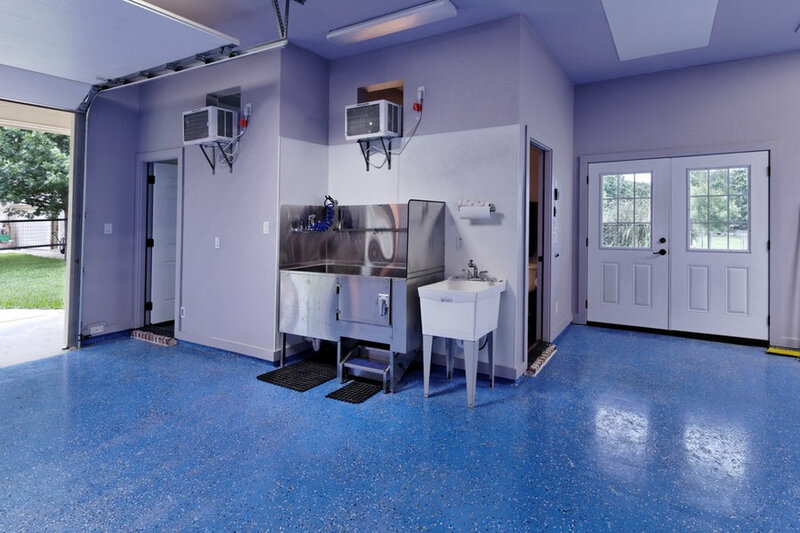 There is also a dog washing station, a dedicated air conditioned doggy apartment/kennel with dog door and epoxy floors for easy clean up. 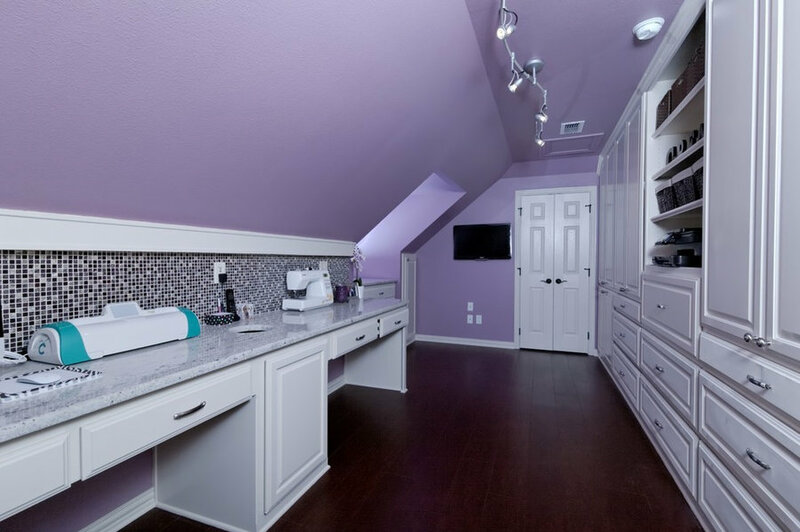 A fabulous craft room with loads of custom built in storage is tucked under the eaves upstairs in the newly finished out 2nd floor of the existing home. Wendy is a genius at creating specialized storage out of potentially unused space! The rolling island pulls out of the dormer storage area when in use, or tucks back in the dormer for increased floor space when unneeded. 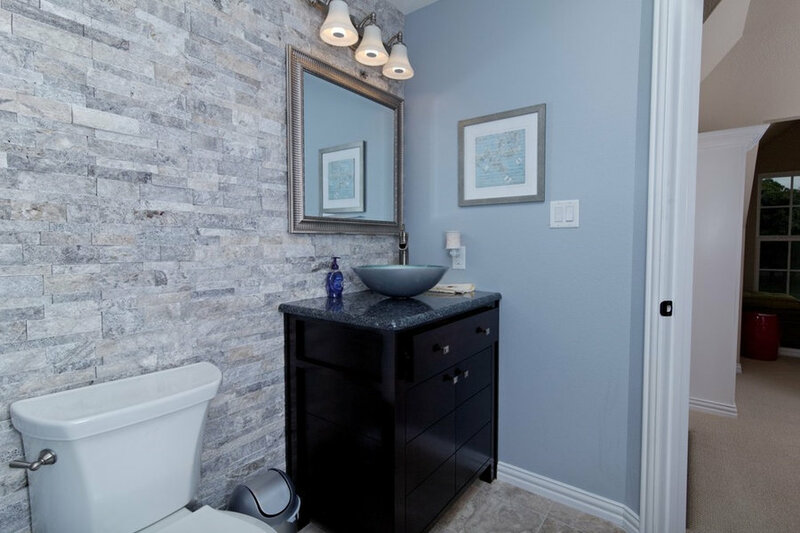 A unique corner powder room near the media room has a gorgeous stone feature wall. 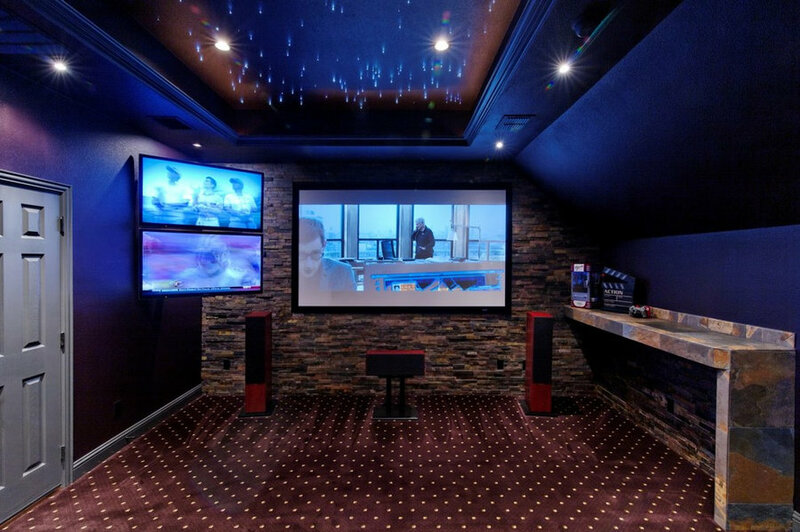 A media room with multiple screens keeps everyone happy! Specially designed LED lighting with built in dimmers in the ceiling gives you complete control and a stunning starlight effect. Stepped floor levels assure that everyone has a clear view of the movie. Specially designed LED lighting with built in dimmers in the ceiling gives you complete control and a stunning starlight effect.